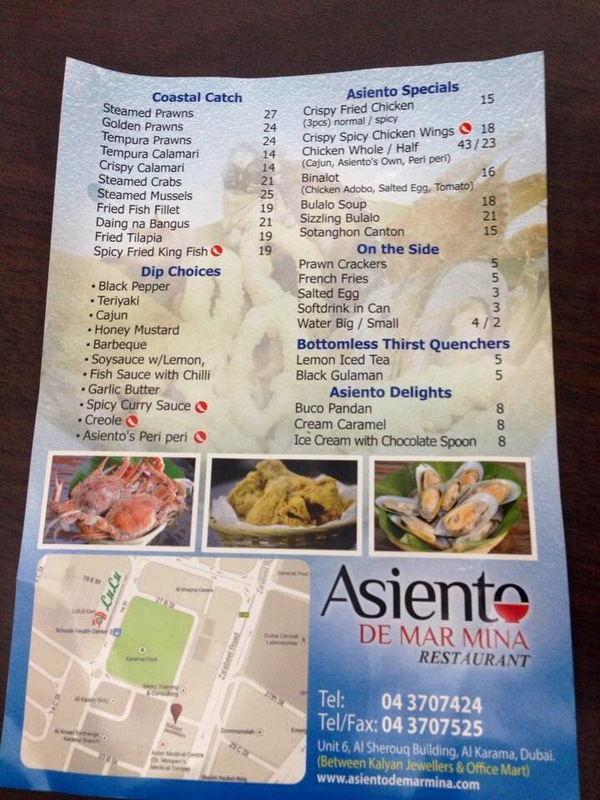 On Monday, we visited one of these Filipino restaurants in Karama — Asiento De Mar Mina Restaurant. 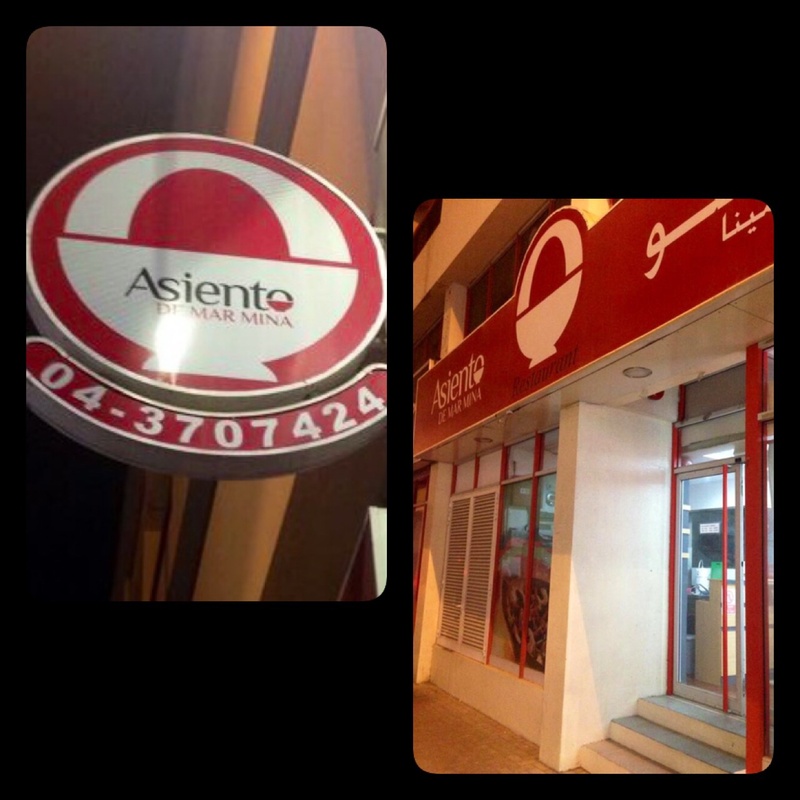 We heard about Asiento’s binalot thru one of our friends who live nearby. Because I grew up in the province, the concept of binalot food is not new to me (but it is for Ian who was raised in Manila. hehe). Whenever we visit Tatang’s farm, lunch was always wrapped and served in banana leaves. Imagine eating the freshest seafood and veggies while being surrounded with luscious green scenery. Hay, our childhood picnics were really the best! Take me back to Pinas pleaseeeeeeeee! 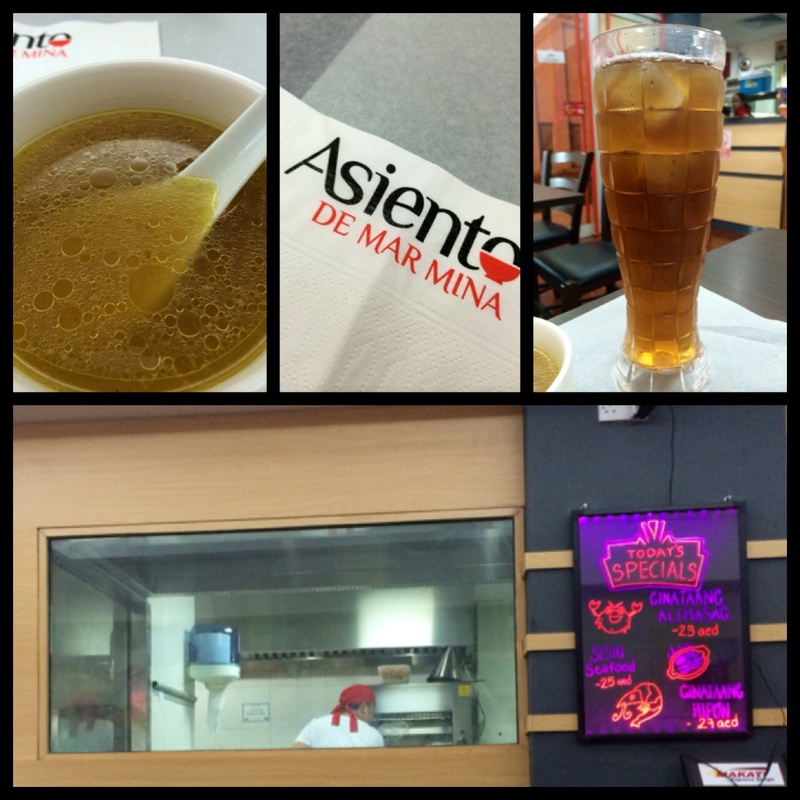 As soon as we arrived, the cheerful ate served us individual bowls of hot soup (complimentary). Ian also asked for their botomless iced tea, AED 5. 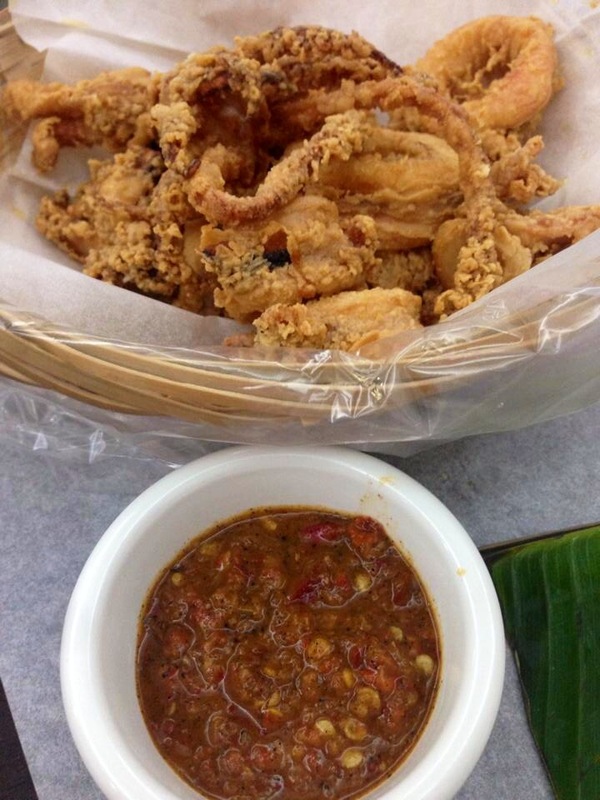 We ordered crispy calamari for Ian (AED14) and binalot na daing for myself (AED18). Asiento’s Binalot: daing na bangus, salted egg, tomato and heaps of rice! Yum! Now on Asiento’s binalot. 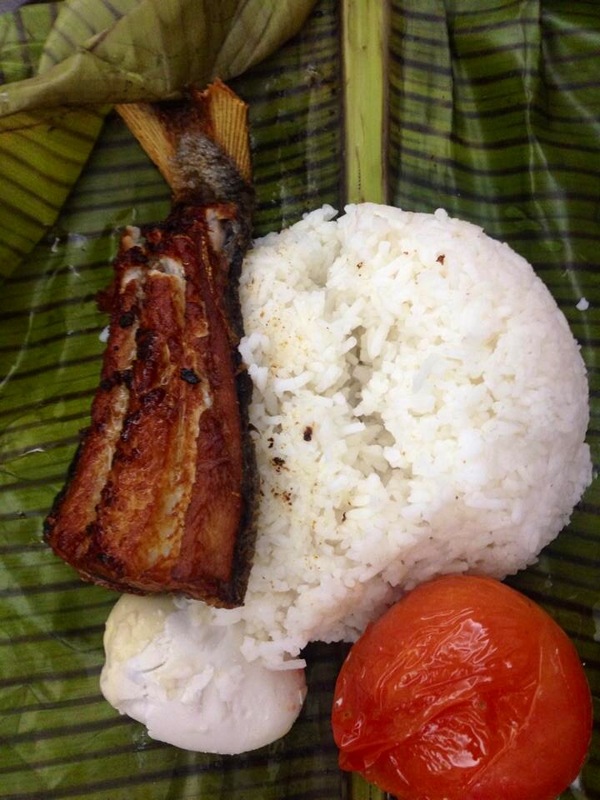 The daing na bangus gets a thumbs up from me as it was meaty and well infused. The salted egg though was too dry for my liking. I always prefer oily salted eggs. hehe. 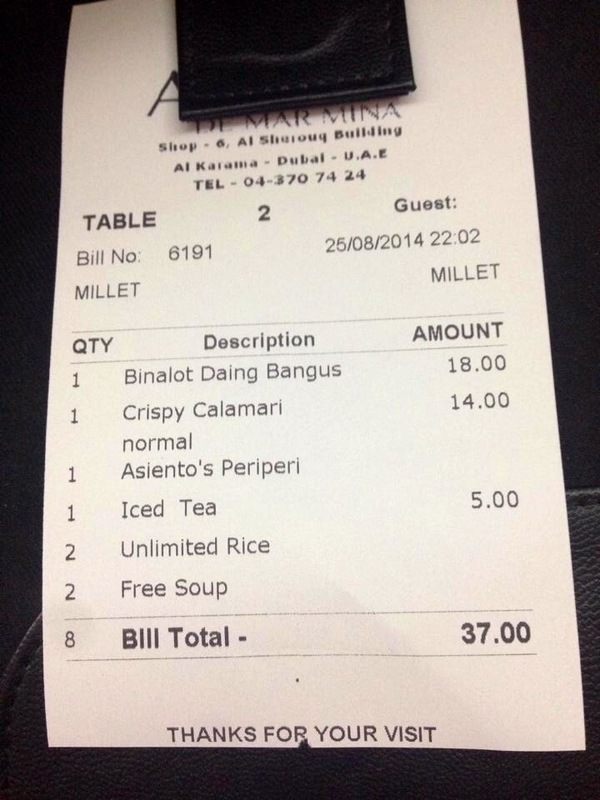 Total bill for both of us was only AED 37. 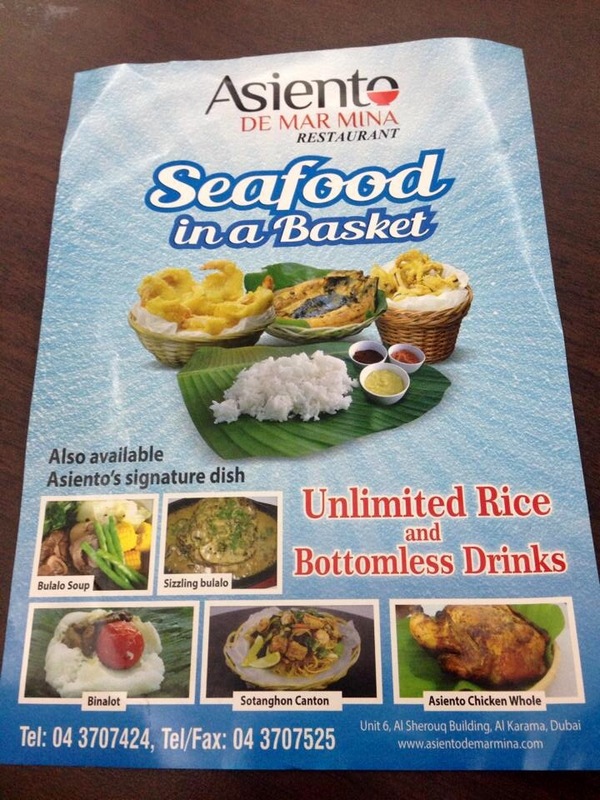 They offer other Filipino dishes as well like bulalo and sotanghon, Check out their complete menu below. 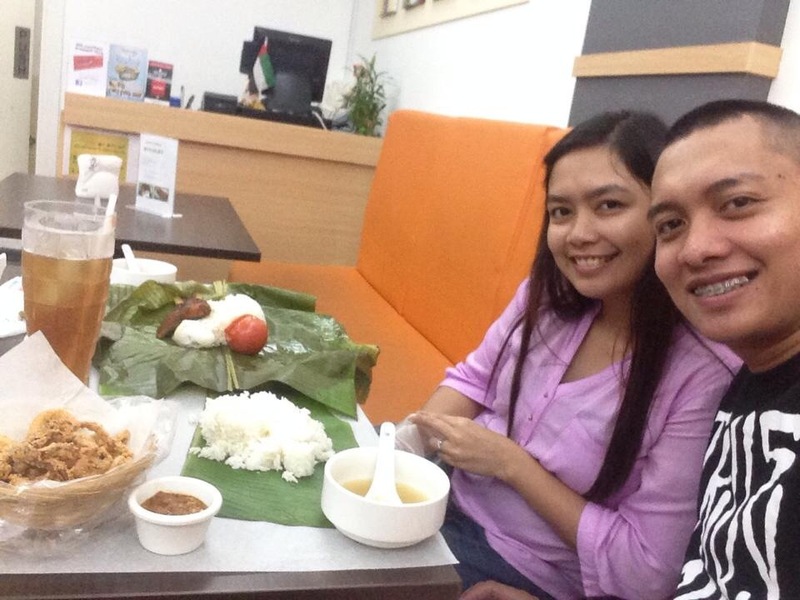 Posted in Dining in Dubai, Dubai Guide, Food, Love, UAETagged Asian cuisine, Asiento De Mar Marina, dubai, Filipino food in Dubai, Filipino restaurant in Dubai, Karama, Restaurants in DubaiBookmark the permalink.